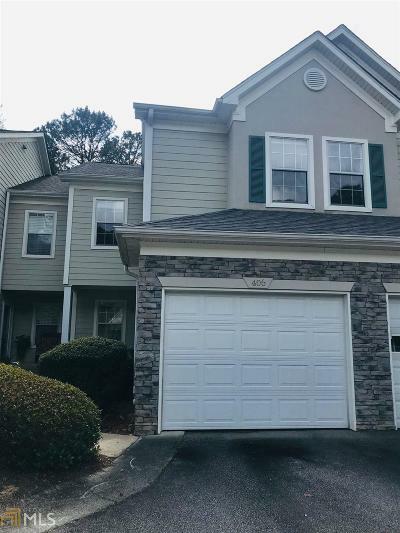 Lovely CONDO in beautiful Peachtree City. Recently updated. New laminate floors. Dishwasher, stove, refrigerator and microwave are all less than 2 years old. Washer and Dryer stay. Water heater is only 2 years old and garage door is less than 6 months old. AC compressor only 3 years old. Everything has been replaced and ready for you to just move right in. Backs up to green space. Access to tennis courts and pool. One car garage. Don&apos;t let this one get away, it wont last long. Directions: From Hwy 54 Turn South On Peachtree Parkway. Turn Left Into Peachtree Club. Can Also Use Gps.